Looking for the safest choice for your home’s electrical? Whether it’s a quick fix or a renovation, you want your home’s electrical done safely — with no danger hazards. With your home’s electrical, there’s a lot going on behind the scenes. You have to worry about permits, following codes — and you want to work with a professional who can handle it all for you. If you’re looking for an expert electrician who can take care of your electrical needs, Knight Electric is here to serve you! At Knight Electric, we make the process of hiring an electrician and fixing your problem simple. Customers praise us for our attention to detail. From the first phone call to the last contact, we keep you informed the whole way through and make all decisions as easy to make as possible. We treat your home as our own and clean up our mess each and every time. With over 10 years of experience, we provide more than just electrical services — we provide our expertise. But don’t take it from us... read what your neighbors in Winnipeg are saying! 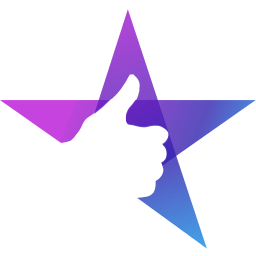 "I would/do recommend Jacob and Knight Electric to my clients without hesitation. He has done exceptional work for me on my own property and for my clients on theirs. He is responsive, reliable, organized and thorough. Five Star!" We can help you with all your residential electrical needs. Scroll down to see a comprehensive list of our services. Or, you can visit our project showroom to see photos of our work! Do your part to keep the burning of fossil fuels down. Let us charge your car today! We love a challenge. Heavy chandelier over a huge staircase? Let's do it! From one spotlight to lighting up your hole acreage - we’ll make your home’s lighting visible from the moon! Less worry — and more time for you to enjoy your spa. Safe installations only! Lasers used to achieve all three of those hanging pendants at just the right height! Getting a new Air Conditioner installed? Have your power requirements ready to go for your HVAC installer! Your Sump Pump should be on its own dedicated circuit, if yours is not or you are having a new one installed we can help! Addition to your home a little too cold? Need supplemental heat or replacement of existing heaters? Let the professionals do it right. Tap on one of the buttons below to get in touch — and book your service today! "Completed all the electrical in our basement, most of the upstairs, and hooked up our hot tub. Clean work and very professional. Highly recommended!" We maintain a comprehensive online gallery of electrical work. Check out our project showroom to see what kind of work we can do for you! 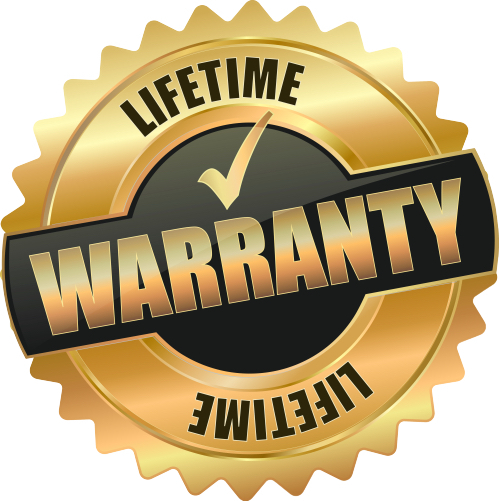 At Knight Electric, we offer a lifetime labor warranty. Any installation done by us has a warranty for life — so if anything goes wrong after we leave due to an error in installation, we’ll come back and fix it for free. You get the peace of mind knowing we’re here to help you if anything goes wrong. We also offer a 1-year parts warranty. We’ll deal with the manufacturer and replace your unit at no cost to you. We only use the best parts and manufacturers to ensure your safety — and so that we can provide top-quality electrical services. 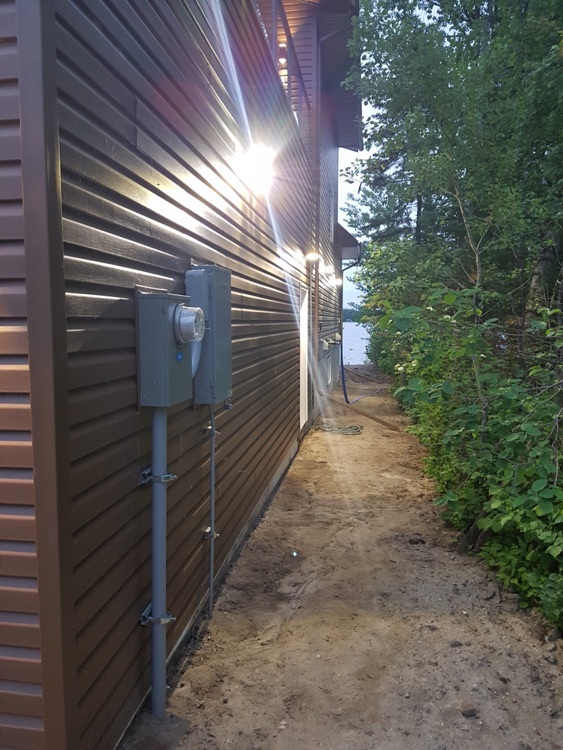 "Knight Electric did the complete wiring of our lake house. The quality of workmanship was incredible, the working relationship with other trades made the difficult process of trying to co-ordinate trades personnel much less stressful." A recent project we did for a client to increase the safety of their home. Check out more photos in our project showroom! Knight Electric LTD began serving homeowners in Winnipeg in September 2014. We strive to provide a high-quality, finished product built on a foundation of great lasting relationships with customers, employees, and industry professionals. With our level of professionalism, we’re confident that after you work with us, we’ll change the way you deal with contractors. We are committed to providing the easiest, and most informational way to help you through your next big electrical project. And you can read what your neighbors are saying or see photos of our work at any time! My Story: My name is Jacob Dombek, and I’m the owner of Knight Electric. My dream was to find a job as an electrician where I didn’t have to rush — a job where I could be careful, safe, and provide my customers with the highest level of service. I never found a company that could offer me that — so I decided to create my own business, Knight Electric, and build the business based on these values. I want to leave all of my customers safer and happier with their home. And with over 10 years of experience in the field, I’m confident I can do that for you. Need help with your home’s electrical system? Tap on one of the buttons below to speak with me — and tell me what you need help with!